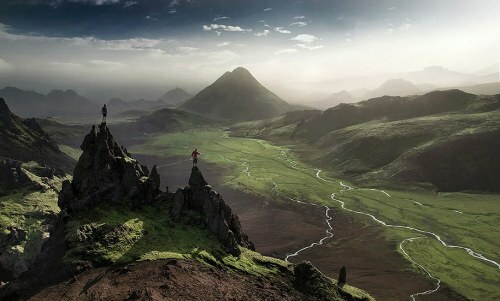 Icelandair has dropped the price of their late September flights from Calgary to Reykjavik, Iceland down to $574 CAD roundtrip including taxes. There are also dates in October, November, and December for $30 more. Icelandair includes a checked bag (and carry-on) with their airfares. Also note that the Iceland Airwaves music festival is from Nov 1-5. Looks like a good time. calgary, yyc, flight deals, europe, northern europe, nordic countries, reykjavik, iceland, kef, icelandair and reykjavík. 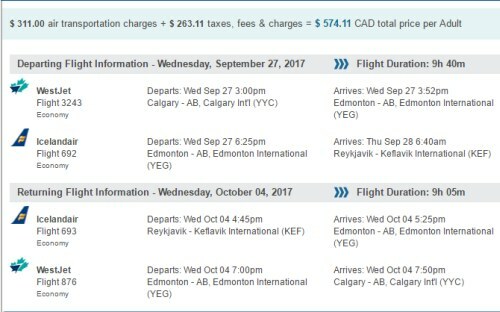 4 Responses to "Calgary to Reykjavik, Iceland - $574 CAD roundtrip including taxes "
The cheapest I can find is $647? Yes, it does look like the cheapest dates in September are now $647. Still seeing dates for $599 CAD roundtrip in October. $603 in November. The prices for September went back down just now! You're right! Seeing some in September for $585 now.